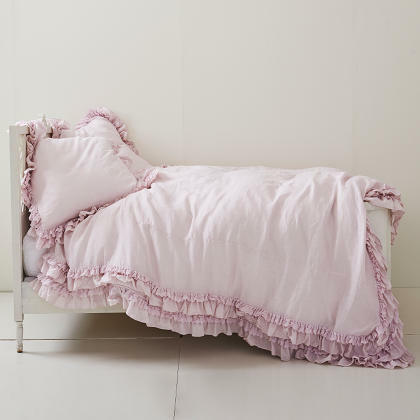 Rachel Ashwell Petticoat Bedding - Swatches may be available. 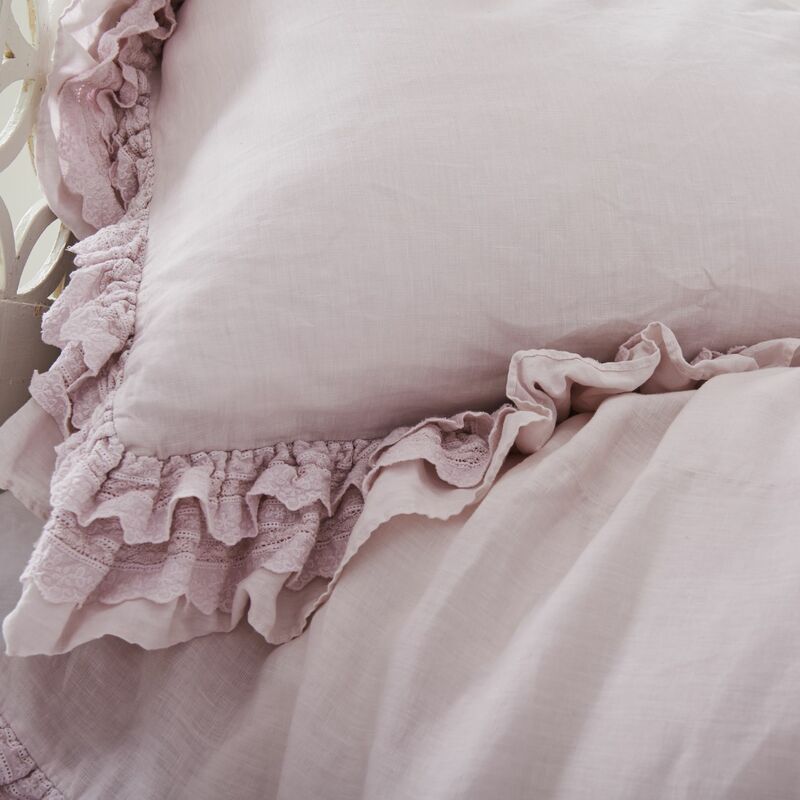 Washed 100% linen (exclusive of lace), with tiered layers of delicate lace trim. This pretty-in-pink popular bedding accessory takes inspiration from a vintage Flamenco dress and is offered in a choice of white or blush. Machine washable. Washed 100% linen (exclusive of decoration). 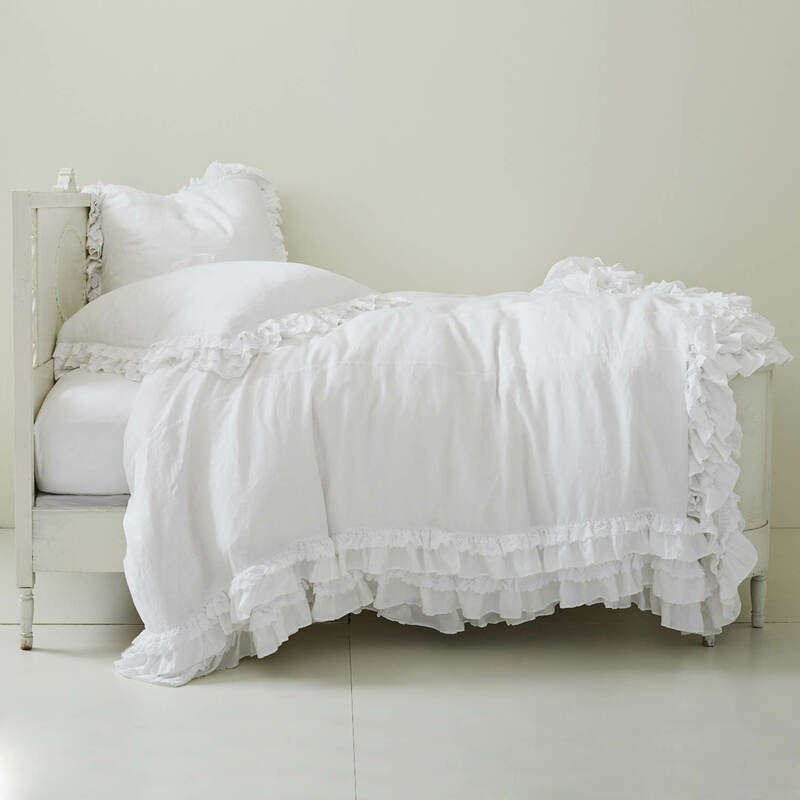 Features tiered layers of delicate lace trim. This bed has been very popular and comes in signature white and blush.